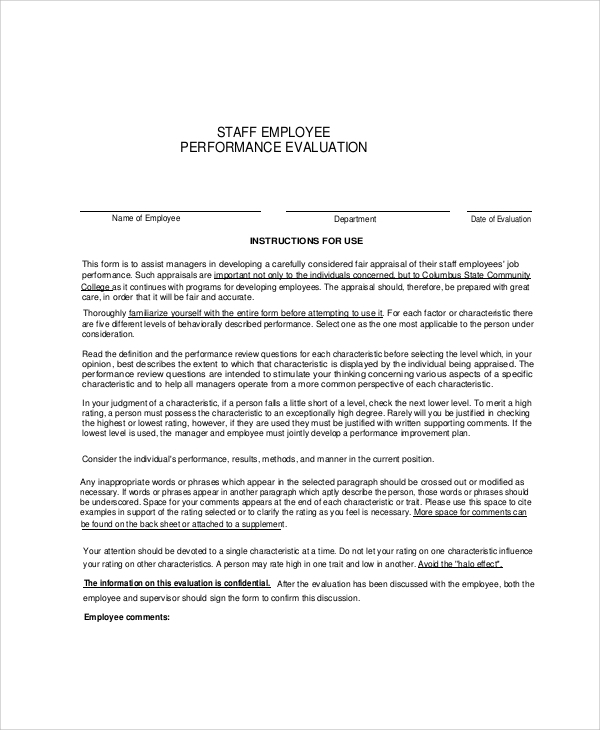 The employee performance evaluation samples are nice guides to get you going through the evaluation report making of employees in an organization. It’s a much-needed format which the administration and human resource in any organization would understand the value of. The employees have to be evaluated on basis of attendance, conduct, performance, positivity, attitude and extra activities in every organization. The better your evaluation sheet is designed, the better will be the outcome of the evaluation, and hence the samples are highly important in designing a sheet. Similarly, you may also make a Training Evaluation Form to decide which employees need training for better performance. The employee performance evaluation can be done annually. Through the year what was the outcome of performance from the employees can be evaluated well with properly planned evaluation sheets. Thus you may get from the templates available online. 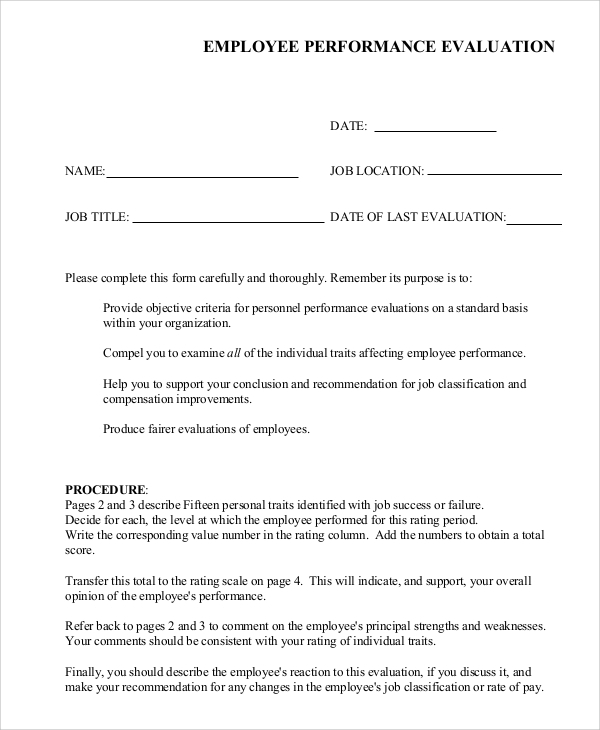 The employee job performance evaluation sheet helps you gauge how the employee is performing the job. This sheet is intended to assess the performance of the employee only on one ground, and what is the job role. The exact points on which the assessments are made are all listed on the sheet. 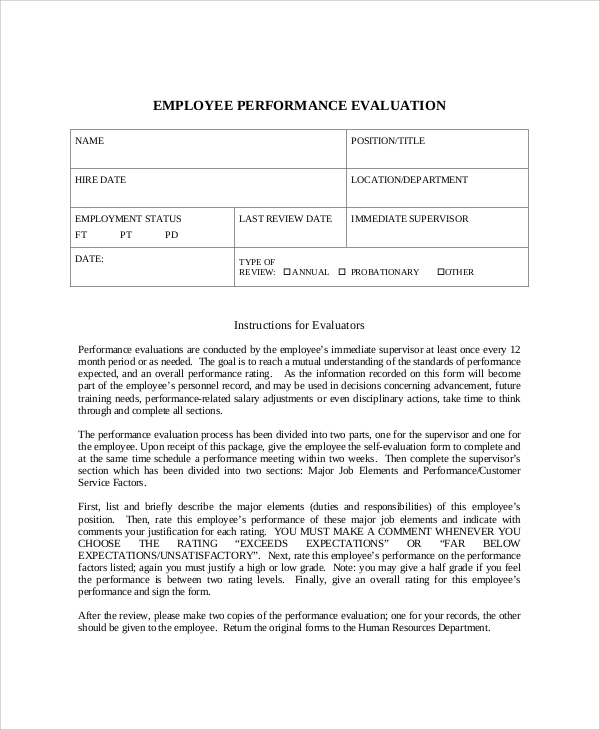 What is an Employee Performance Evaluation Sample? 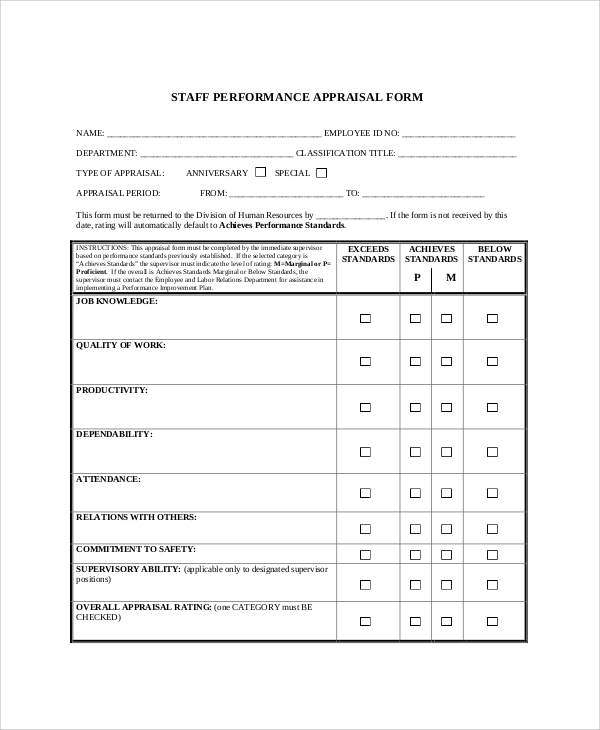 The uses of employee performance evaluation sample are in making of a standard evaluation sheet for the employee work and performance assessment. You can do pretty well when you have a guide. The sample is the guide that lets you do the work at ease, and design a splendid layout and structure with the most standard questionnaire for employee work evaluation. The purpose of the sheets is to bring on standardization in your work. As an HR of an organization, you may not settle with anything below professional standards. Therefore you must make a benchmark with the creation of a great performance analysis sheet made from the customization of the best samples available online. The organization may understand the strong and weak points of employees to get them through any training program if required or appraise them. 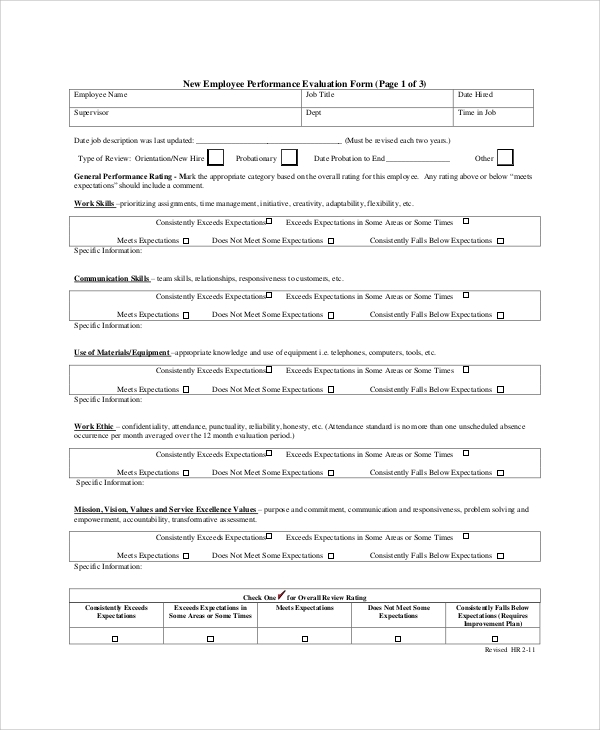 One of the best thing about the availability of online performance review sheets, or the appraisal form is that they are free to use and download. This makes them really usable, and a rich source of ideas. You may compare your made sheets with them, and tuck in a few questions and points from them, or use the whole employee or Interview Evaluation Form with customizations.